Using the Chennai floods as a case study, I will explore how intersections of caste, class, "dirty work," and the politics of cleaning continue to ignore the sufferings of Arunthathiyar (A Dalit caste group in Tamil Nadu) as they cleaned the city after the Chennai floods in 2015. This presentation particularly focuses on the invisibility and erasure of the sufferings of Arunthathiyars from public memory. Using qualitative interviews and social media analyses, my project explores the complex consequences of corporate irresponsibility in the mistreatment of Aruthathiyar janitors and active documentation of Arunthathiyars' sufferings by progressive and Dalit activists acting as their mnemonic communities. I will argue for the need to incorporate a social marginality perspective for disaster management to prevent dignity injuries and occupational hazards of the most marginalized groups, such as Arunthathiyars. Ram Mahalingam is a professor of psychology at the University of Michigan. 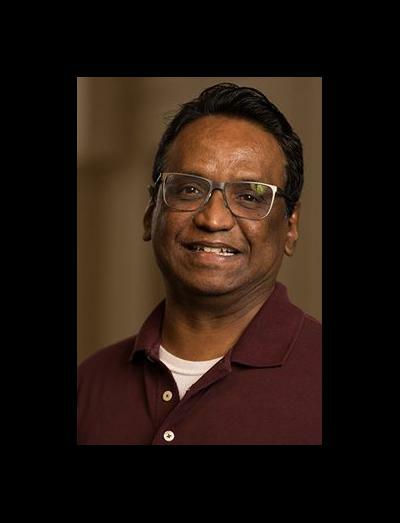 He is currently the Director for the Barger Leadership Institute (https://lsa.umich.edu/bli/People1/people/RamaswamiMahalingam.html), and is a cultural psychologist originally from Tamil Nadu, India. Intersectionality, gender, and social marginality are the major themes of his research. He has edited two books and published numerous journal articles in interdisciplinary journals. His previous research explored the relationship between essentialism and power at the intersections of caste, social class, gender, race, and ethnicity. (c) cell phones and the making of the self.